Olivier is a keen supporter of the arts and a music lover, with a sweet spot for modern interpretations of the classical canon. He serves as chair of the risk committee of Stratford Art Trust, which is well known for its work with children and theatre. Olivieris also on the board of the Bartkowski School of Dance in the north of France. He runs his own consulting firm after a career in the City, and lectures on risk and finance in various business school in the UK and France. Melvin's varied career path (from diplomat to opera singer, banker and psychotherapist) has a broad sweep as well as common themes, which include concern for others and a desire to make a practical difference. 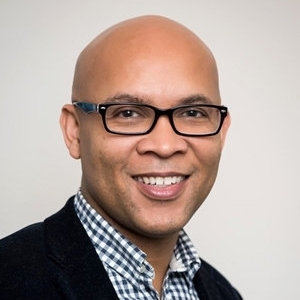 Prior to and while studying law, Melvin ran a psychotherapy practice, providing private trauma psychotherapy to individuals, couples and organisations. In addition to his work on the development committee at OperaUpClose, he also serves as a trustee of Pegasus Opera and is a trainee solicitor with the Government Legal Service. Melvin's interests in legal practice include intellectual property; tax, art and theatre law; and cultural property law. 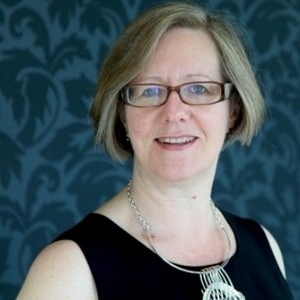 Amanda Ariss is a freelance consultant with particular interests in diversity and in helping organisations work effectively together. She is also a private chef, cooking meals for clients in their own homes. She was a senior executive in the public and voluntary sectors for 20 years, mostly recently as CEO of the Creative Diversity Network where she led an industry-wide drive for greater diversity in television, and as CEO of the Equality and Diversity Forum, the national network of equality and human rights charities. Previously she was head of policy and research for the Equal Opportunities Commission and an associate director of the Audit Commission. Amanda is a Trustee of OperaUpClose and of Guide Dogs and a member of the Independent Academic Research Studies Academic and Editorial Board. She chaired the Fawcett Society’s 2015 inquiry into gender equality and job seeker’s allowance. She was awarded an OBE in 2015 for services to equality and diversity. Alice read Music at the University of Oxford, graduating in 2011. Since then she has travelled throughout India and France teaching music, and now lives in London. Alice is an oboist and enjoys piano teaching and composing. Having studied composition at the Royal Academy of Music, her enthusiasm for contemporary music led to an internship with the Concerts, Opera & Media department at Schott Music. She is passionate about the arts and loves the diversity which London has to offer. OperaUpClose’s Artistic Director, Robin Norton-Hale, is an Olivier Award-winning director and writer who was part of the team who founded OUC in 2009. She has directed numerous productions including La Boheme, La Traviataand Carmen for the company, all in her own new English translations. Robin has also directed for companies including Malmo Opera, English Touring Opera and the Southwark Playhouse. Prior to directing, Robin read English Literature at Hertford College, Oxford University and trained as a journalist before working in press and marketing for English Touring Opera. She is a 2013/14 Clore Leadership Fellow and is a former trustee of Farnham Maltings and Bloomsbury Festival. Chris' biography is coming soon.